The study of biology is the quest to understand the fundamental rules that govern the vast diversity of life on planet Earth. Although the scope of the science of biology is broad, it impacts our lives in specific ways every single day. As a teacher, it is my objective to pass on knowledge about the innovative ideas that form the foundation of biology, and the landmark experiments that scientists performed to reach their conclusions. I strive to present an in-depth exploration of the subject of biology and its many facets. As a researcher, my focus is on the interplay between the microscopic world and their surroundings--examining the impact of toxins on cells, and the mechanisms that cells utilize to remediate and restore their surrounding environment. My research focuses on microbially-mediated resistance to toxic heavy metals, and the role that horizontal gene transfer (HGT) has played in the evolution of this ability. Specifically, I am interested in a family of genes which encode transport proteins known as P-type ATPases. These transmembrane proteins bind monovalent or divalent metal ions in the cell cytoplasm and remove the ions from the cell so they can be immobilized by forming complexes with cell wall components. This topic has significant impact with respect to modern environmental problems, since past anthropogenic contamination of soil and ground water from past industrial and research activities poses a serious health risk in many parts of the United States. More recently, I have become interested in the impact of heavy metals on microbial communities of salt marshes, particularly the marshes on the South Shore of Long Island. A combination of microbiological and molecular biology techniques are utilized to examine the phenotype and genotype of individual isolates, as well as the metagenome of waterlogged sediments to compare microbes from different salt marsh environments. 1.) What kinds of bacteria are capable of bioremediation, and how do these bacteria survive in environments contaminated with hazardous waste? 2.) What are the structural changes that affect the stability, catalytic efficiency, and substrate specificity of the proteins involved in metal resistance? 3.) How has horizontal gene transfer (HGT) played a role in the evolution of metal resistance and other environmentally relevant traits? Dooley, J., J. Coombs and E. Villa-Cuesta. (2013). Experimental techniques for concepts and methods in biology: Laboratory Methods I. Linus Publications, Inc. Ronkonkoma, NY. J. Coombs (2018) Microbial Communities in Salt Marsh Systems and their Responses to Anthropogenic Pollutants. In: Advances in Environmental Microbiology vol 6: The Structure and Function of Aquatic Microbial Communities. (Hurst, C. Ed.) Springer International Publishing. In Press. P. A. Sobecky and J. M. Coombs (2009). Horizontal gene transfer in metal and radionuclide contaminated soils. In M. Gogarten and P. Gogarten (Eds.). Horizontal Gene Transfer: Genomes in Flux. Totowa, NJ: Humana Press. J. M. Coombs (2009). Potential for horizontal gene transfer in subsurface microbial communities. In M. Gogarten and P. Gogarten (Eds.). Horizontal Gene Transfer: Genomes in Flux. (pp. 413-433). Totowa, NJ: Humana Press. D. R. Nemergut, T. Barkay, and J. Coombs (2007). A review of mobile gene elements and methods to study horizontal gene transfer in environmental microbial communities. In C. J. Hurst, R. L. Crawford, J. L. Garland, D. A. Lipson, A. L. Mills, and L. D. Stetzenbach (Eds.). The Manual of Environmental Microbiology. (pp. 758-768). Washington D.C.: ASM Press. J. Coombs and T. Barkay (2005). Horizontal gene transfer of metal homeostasis genes and its role in microbial communities of the deep terrestrial subsurface. In G. M. Gadd, K. T. Semple, H. M. Lappin-Scott (Eds.). Microorganisms and Earth Systems--Advances in Geomicrobiology. (pp. 109-130). New York, NY: Cambridge University Press. R. J, Martinez, Y. Wang, M. A. Raimondo, J. M. Coombs, T. Barkay, and P. A. Sobecky (2006), Horizontal gene transfer of PIB-type ATPases among bacteria isolated from radionuclide and metal contaminated subsurface soils. Applied and Environmental Microbiology, 72, 3111-3118. J. Coombs and T. Barkay (2005), New Findings on the Evolution of Metal Homeostasis Genes: Evidence from Comparative Genome Analysis of Bacteria and Archaea. Applied and Environmental Microbiology, 71. C. Vetriani, Y.S. Chew, S.M. Miller, J. Yagi, J. Coombs, R.A. Lutz, and T. Barkay (2005), Mercury Adaptation among Bacteria from a Deep Sea Hydrothermal Vent. Applied and Environmental Microbiology, 71, 220-226. J. Coombs and T. Barkay (2004), Molecular Evidence for the Evolution of Metal Homeostasis Genes by Lateral Gene Transfer in Bacteria from the Deep Terrestrial Subsurface. Applied and Environmental Microbiology, 49, 1698-1707. G. Benyehuda, J. Coombs, P.L. Ward, D. Balkwill, and T. Barkay (2003), Metal Resistance among Aerobic Chemoheterotrophic Bacteria from the Deep Terrestrial Subsurface. Canadian Journal of Microbiology, 49, 151-156. J. Coombs and J.E. Brenchley (2001), Characterization of Two New Gycosyl Hydrolases from the Lactic Acid Bacterium Carnobacterium piscicola Strain BA. Applied and Environmental Microbiology, 67, 5094-5099. P.P. Sheridan, N. Panasik, J.M. Coombs, and J.E. Brenchley (2000), Aproaches for Deciphering the Structural Basis of Low Temperature Enzyme Activity. Biochimica et Biophysica Acta, 65, 5443-5450. J. Coombs, D. Jadev and A. Espinosa (2016). Phylogenetic Analysis of Microbial Sediment Communities from Two Salt Marshes in the South Shore Estuary Reserve. ASM Microbe, Boston MA. Espinosa, A., D. Jadev, and J. Coombs. (2014). Molecular characterization of microbial community composition as a function of depth in estuary sediments. Metropolitan Association of College and University Biologists (MACUB), Rockville Centre, NY. Khemraj, N. and J. Coombs (2011). Isolation and Identification of Bacteriophages found in Estuary Waters off off Long Island Shores. In North Eastern Microbiologists--Physiology, Ecology, and Taxonomy (NEMPET). Blue Mountain Lake, NY. Shekter, A. and J. Coombs (2011). Analysis of Estuary Soil for the Presence of the zntA Gene. In North Eastern Microbiologists--Physiology, Ecology, and Taxonomy (NEMPET). Blue Mountain Lake, NY. Sosin, M. and J. Coombs (2011). Comparison of the Microbial Community Ecology of Cadmium Contaminated Estuary Soil Using Quantitative Polymerase Chain Reaction. In Adelphi University Eighth Annual Research Conference. Garden City. Harrison, E., G. Eduardo and J. Coombs. (2009). Detection and isolation of ds-DNA viruses in estuarine and aquifer waters from Long Island, NY. In American Society for Microbiology General Meeting. Philidelphia PA.
Ziogaite, B., B. Smith, A. Chatziefthimiou, T. Barkay, and J. Coombs. (2009). Isolation and microarray analysis of cryptic plasmids from metal resistant bacteria of the deep terrestrial subsurface. In American Society for Microbiology General Meeting. Philidelphia PA.
Vecchi, A., K. Shah, L. Alexis, and J. Coombs (2009). Random mutagenesis of the zntA gene in the XL1-Red mutator strain and its effect on metal resistance in Escherichia coli. In American Society for Microbiology General Meeting. Philidelphia PA.
Mofunanya, O., B. Ziogaite, B. Smith, and J. Coombs. (2008). Isolation and analysis of cryptic plasmids from metal resistant bacteria of the deep terrestrial subsurface. In Metropolitan Association of College and University Biologists (MACUB). Montclair NJ. Cuneo, D., and J. Coombs (2007). Potential involvement of phage integrases in the horizontal gene transfer of metal resistance genes. In North Eastern Microbiologists--Physiology, Ecology, and Taxonomy (NEMPET). Blue Mountain Lake NY. Barkay, T., J. Coombs, and A. Chatziefthimiou (2006). Horizontal gene transfer in microbial communities: Genetic plasticity for coping with environmental change. In The Fourth Okazaki Biology Conference: "Terra Microbiology 2". Okazaki, Japan. Chatziefthimiou, A., J.M. Coombs, and T. Barkay. (2006). The design, optimization, and testing of a hybridization array for the characterization of broad host range metal resistance plasmids. In International Society for Plasmid Biology and other Mobile Genetic Elements. Fallen Leaf Lake, CA. J. Coombs, G. Oregaard, I. Torres, P. Sobeckey, and T. Barkay (2006). A horizontal gene transfer microarray for the detection of a genomic linkage between metal resistance and inc/rep genes on broad host range plasmids. In American Society for Microbiology General Meeting. Atlanta GA.
J. Coombs (2008, October). Heavy metals and microbes: examining horizontal gene transfer in the PIB-type ATPase family of metal-transporting proteins. SUNY-ESF, Syracuse NY. J. Coombs (2008, April). Plasmids, phage, and the spread of metal resistance. Adelphi Biology Department faculty seminar. J. Coombs (2007, June). Deep impact: subsurface microbes, bioremediation, and microbial evolution. North Eastern Microbiologists: Physiology, Ecology, Taxonomy. Blue Mountain Lake, NY. J. Coombs (2006, November). Deep impact: subsurface microbes, bioremediation, and microbial evolution. Nassau Community College. J. Coombs (2006, October). Horizontal gene transfer among bacteria of the deep terrestrial subsurface: mechanisms and implications for the bioremediation of hazardous waste sites. Department of Biology seminar series, Hofstra University, Hempstead NY. J. Coombs (2005, May). Horizontal gene transfer in the environment. Center for Discrete Mathematics and Theoretical Computer Science (DIMACS) Workshop on Reticulated Evolution, New Brunswick NJ. J. Coombs. (2011) Impact of cadmium and nickel exposure on microbial populations in sediments from the South Shore Estuary Reserve. Adelphi Faculty Development Grant, Adelphi University. J. Coombs. (2009) PIB-type ATPases in heavily-impacted vs. minimally impacted sediments of the South Shore Estuary. Adelphi Faculty Development Grant, Adelphi University. J. Coombs, J. Dooley, and A. Schoenfeld. (2005) Li-Cor Genomics Education Matching Funds Grant Application. Equipment grant for a DNA sequencer. Li-Cor, Inc.
Samantha Kozikott (2009). Microbial biofilms. Adelphi University. Damiano Cuneo (2007). Evidence for the presence of lysogenic bacteriophages in the genomes of bacteria involved in horizontal gene transfer. Adelphi University. Belita Opine (2015) M.S. Thesis. Use of qPCR to Measure the Relative Abundance and Distribution of Chloroflexi in Estuary Sediments from New York and New Hampshire. Yan Li (2014) Scholarly Paper. The role of Strepotoccus mutans in the formation of dental caries. Jeffrey Lau (2014) M.S. Thesis. Persistence of Catechol 2, 3-Dioxygenase Genes from Pseudomonas putida mt-2 In Diesel Contaminated Soil Mesocosms. Norah Aljahdali (2013) M.S. Thesis. Characterization of a Cryptic Plasmid From the Deep Subsurface Bacteria, Pseudomonas spp.B0623. Arati Patel (2013) M.S. Thesis. Plasmid Isolation and Restriction Enzyme Digest Analysis of Subsurface bacterium Pseudomonas spp. B0623. Jennifer Valcin (2013) M.S. Thesis. Characterization of a cryptic plasmid isolated from a deep subsurface Pseudomonas spp. B0623. De’Nea Maxwell (2013) M.S. Thesis. Detection of zntA gene in Chloroflexus-like microbes of Lido Beach Preserve. 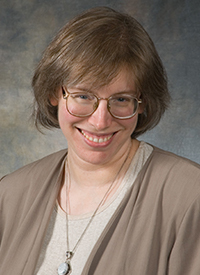 Donna Reidman (2009) Scholarly Paper. A comparison of Chlorhexidine and Silver Sulfadiazone, Minocycline and Rifampacin, and Gendine catheter treatments to reduce biofilm formation. Samantha Kozikott (2009) Scholarly Paper. Microbial biofilms. Susan Williams (2009) Scholarly Paper. Studies on drug resistance in Staphylococcus aureus. Damiano Cuneo (2007) M.S. Thesis. Evidence for the presence of lysogenic bacteriophages in the genomes of bacteria involved in horizontal gene transfer. Jason Shah (2016) Undergraduate Thesis. Investigations into the Detection of the mecA gene through PCR and examining the antimicrobial properties of W. somnifera root extract. Alison Miller (2016) Undergraduate Thesis (Note: this research was performed during a student research internship in Japan) Opsin Genotyping and Photopigment Reconstitution of Red-Ruffed Lemurs (Varecia rubra). Mohammed Ahmadi (2013) Undergraduate Thesis. (Note: this research was performed off-campus at LIU/C.W. Post University) Demonstration of Anti-biofilm and Anti-fungal Efficacy of Nitric-oxide Releasing Nanoparticles against Candida albicans Biofilms. Nicole Hennis (2013) Undergraduate Thesis. Optimization of qPCR for the Analysis of Microbial Communities in Estuarine Sediment as Indicators of Cadmium Pollution. Alexandra Shekter (2011) Undergraduate Thesis. Analysis of Estuary Soil for the Presence of the zntA Gene. Nirmala Khemraj (2011) Undergraduate Thesis. Isolation and Identification of Bacteriophages Found in Estuary Waters off of Long Island Shores. Michael Sosin (2011) Honors College Thesis. Optimization of Quantitative Real-Time PCR to be used in Tracking the Susceptibility of Chloroflexi to Cadmium Contamination in Estuary Sediment Mesocosms. Ginette Eduardo (2009) Undergraduate Thesis. Detection and Isolation of ds-DNA Viruses in Estuarine Waters from Long Island, NY. Brigita Ziogaite (2009) Undergraduate Thesis. Isolation and Analysis of Cryptic Plasmids from Metal Resistant Bacteria found in the Deep Terrestrial Subsurface. Barbara Smith (2009) Undergraduate Thesis. Isolation and Microarray Analysis of Cryptic Plasmids from Metal Resistant Bacteria Strains B0669 and B0665 from the Deep Terrestrial Subsurface. Emily Harrison (2009) Honors College Thesis. Detection and Isolation of ds-DNA Viruses in Estuarine and Aquifer Waters from Long Island, NY. Onyeka Mofunanya (2008) Undergraduate Thesis. Plasmids of Metal Resistant Bacterial from the Deep Subsurface. Lindsay Denonno (2008) Honors College Thesis. Subsurface Bacteriophage Communities: Their Potential to Mediate Horizontal Gene Transfer and Possible Uses in Bioremediation. Shin Huh (2008) Honors College Thesis. Viruses as Vectors: Examining the Role of Uncultured Bacteriophage Communities in the Horizontal Transfer of Metal Resistance Genes. Coombs, J., D. Jadev and A. Espinosa (2016). Phylogenetic Analysis of Microbial Sediment Communities from Two Salt Marshes in the South Shore Estuary Reserve. ASM Microbe, Boston MA. Poster was selected for a special "Poster Walk" session at the American Society for Microbiology General Meeting. Coombs, J. (2011) Impact of cadmium and nickel exposure on microbial populations in sediments from the South Shore Estuary Reserve. Adelphi Faculty Development Grant, Adelphi University. Coombs, J. (2009) PIB-type ATPases in heavily-impacted vs. minimally impacted sediments of the South Shore Estuary. Adelphi Faculty Development Grant, Adelphi University. Coombs, J. Dooley, and A. Schoenfeld. (2005) Li-Cor Genomics Education Matching Funds Grant Application. Equipment grant for a DNA sequencer. Li-Cor, Inc.
Coombs, J. (2003) Evidence for lateral transfer of metal homeostasis genes in completed bacterial and archaeal genomes. Travel grant. 11th International Conference on Microbial Genomes, Durham, NC. Coombs, J. (2002) United States-European Commission (US-EC) fellowship for early career scientists. Grant for a short term exchange to the University of Copenhagen, Copenhagen Denmark. Coombs, J. (1997) Phylogenetic analysis of two novel cold-active beta-galactosidases from a psychrophilic Carnobacterium isolate. Travel grant. ASM, Atlanta, GA.